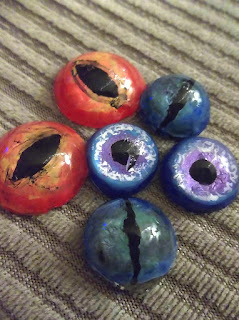 In this project, I'll teach you how to paint clear cabochons or resin to make eyes with Dixie Belle chalk paints. Also, I'll show you a neat way to use the Ebrush without loading it with markers or paint! Start by dipping your brush in black paint and getting a big clump on the tip. 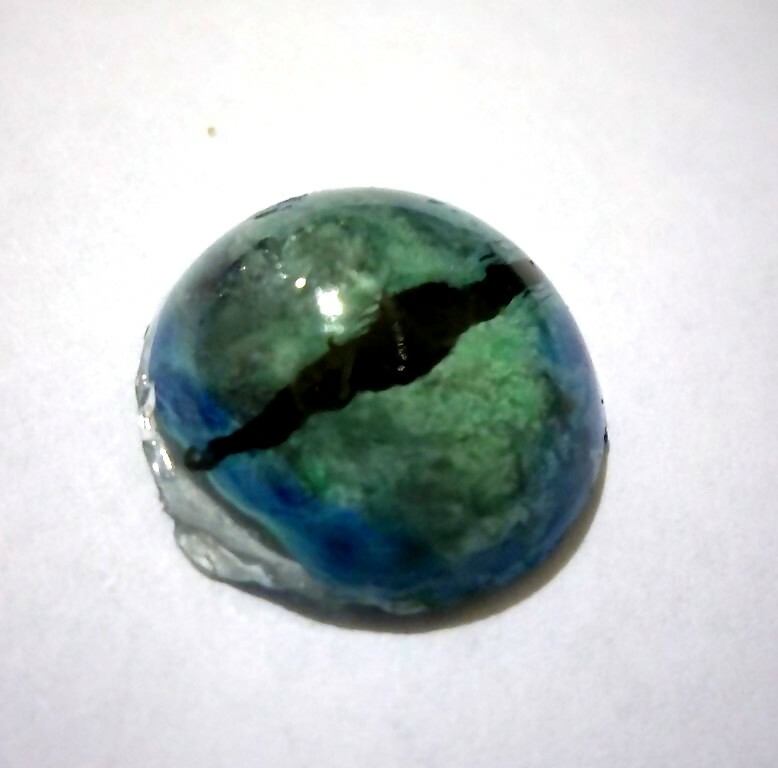 Dab it into the center of the back of the cabochon to make the iris. 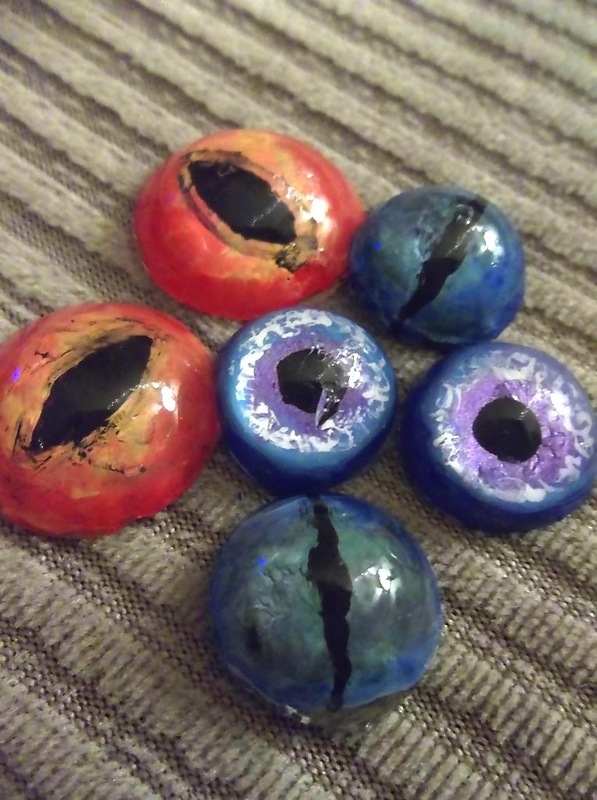 I decided to make one of my eyes look reptilian by dragging a toothpick from the black dab of paint into a thin line. Reptiles have very interesting eyes, I recommend you look some up. After the iris has dried, choose the colors of Dixie Belle chalk paint you want for your eyes. Start with the lightest color and when adding each color, lightly dab your brush in water. You want just enough water to thin it enough to where the colors will run into each other. If you get it too wet, wipe off gently with a paper towel and start over. Tip: Outlining the edge with the darkest color will make the eyes really pop! Now comes the most fun part! 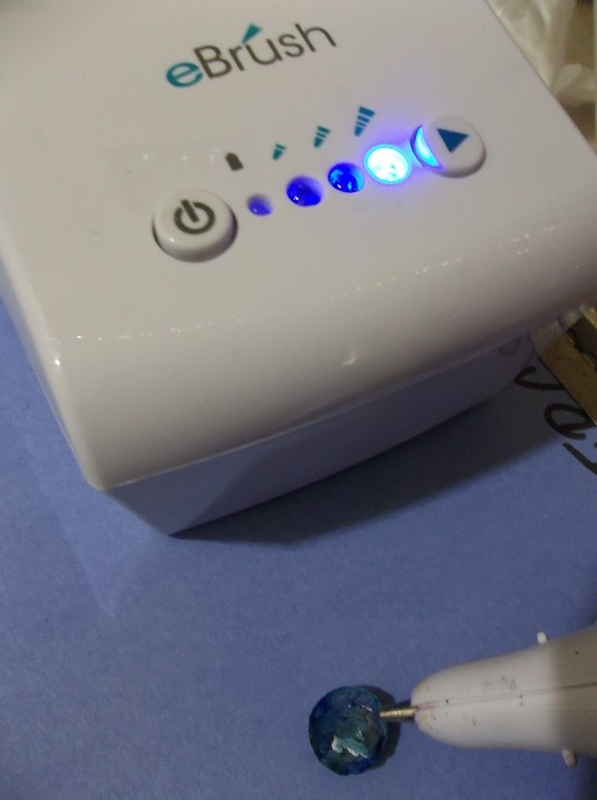 While the paint is still wet, take your Ebrush and put it on the highest setting. Then, with the air from your Ebrush, your colors will mix and swirl together into a more natural looking pattern. Let the paint sit for 5-10 minutes to dry on it's own a little, then finish with a hairdryer. Make sure it's completely dry before painting an acrylic sealant over the painted part. 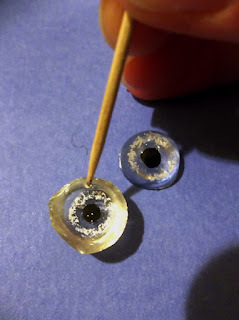 For the blue and purple eyes, I speckled some white around the iris with a toothpick and let dry before using the same painting technique with the reptile's eye. Now you can use your one-of-a-kind eyes for dolls, sculptures, and jewelry!